Heat the oil in a large saucepan. Add onions and salt and cook 20 minutes, stirring occasionally, until golden brown. Keep an eye on it for the last few minutes so it doesn't burn. Remove to a bowl and allow to cool, about 15 minutes. Add remaining ingredients and mix thoroughly. Cover and refrigerate 1 hour to over night. 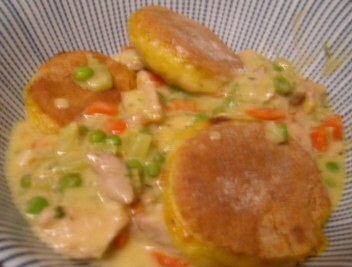 Serve with chips, pretzels and raw vegetables. Did you know that California Dip was invented in the 1950s when easy recipes featuring "time saving" ingredients first became popular? 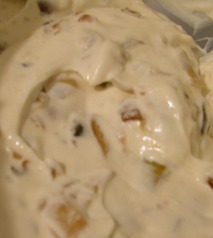 I think everyone has had onion dip made with dehydrated onion soup and sour cream (which concidentally was an unsual ingredient until the rise in popularity of dips) and (perhaps secretly) enjoyed it. Picture that dip but change the soup mix to freshly caramelized onions and you get this. Perfect, tangy and just a little kitschy. Sprinkle cabbage with 1/2 tablespoon of salt and let stand for 30 minutes. Using a towel, squeeze out excess water. In a large bowl thoroughly mix the cabbage with the pork, ginger, sesame oil, egg, soy sauce and garlic. Place a small teaspoon of filling in the middle of the wrapper Fold the wrapper in half to form a half moon shape, pinching the wrapper tightly together. 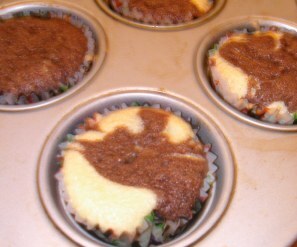 Make sure no filling is peaking out or they will break while cooking. Heat oil in a large saucepan, place pot stickers flat side down and cook until the bottom is browned. Add 1 cup of stock, cover immediately. Allow dumplings to steam. Once the dumplings are fully cooked the stock will evaporate and the bottoms will be crisp. Excellent with my favorite dipping sauce. Dumplings are time consuming but tasty. This recipe made about 45 dumplings but if you buy refrigerated dumplings you could freeze any extra you might have. Coarsely chop all greens. In a large wok, heat 2 tablespoons oil, add the ginger and cook for about 30 seconds. Add the green onions and the rest of the ingredients apart from the oyster sauce, soy sauce, and black sesame oil. Cook 1-2 minutes until the vegetables start to wilt. Add the oyster sauce, soy sauce, and black sesame oil, stir to coat. Cook about 1 minute or until the sauce begins to reduce. Plate and serve. It's amazing how much vegetables cook down. You start off with a huge overflowing wok and end up with only 4 servings. A really yummy, salty-spicy side dish for a Chinese meal. Preheat the oven to 500. Place 16-inch (or larger) pizza stone on lowest shelf position, for 30 minutes. Pour warm water into a small bowl. Add sugar, and sprinkle in yeast. Stir the mixture until the yeast is dissolved. The water should look tan. Let yeast stand until foamy, about 10 minutes. In a food processor, combine 2 3/4 cups flour and salt, pulse three to four times. Add yeast mixture and 1 1/2 tablespoons olive oil. Pulse until the dough comes together, adding more flour as needed until dough is smooth and not sticky when squeezed. Transfer to clean surface. Knead four or five turns into a ball. Coat the inside of a medium bowl with olive oil, and place the dough in the bowl, smooth side up. Cover tightly with plastic wrap, and place in a warm spot or a cool oven until doubled in size, about 40 minutes. Remove plastic wrap, and use your fist to push down on the center of the dough. Fold the dough in half four or five times. Turn dough over, folded-side down, cover with plastic wrap, and return to the warm spot/cool oven to rise again. Wait until the dough has doubled in size, about 30 minutes. Punch down the dough, and transfer to a clean surface. Divide the dough in half, and knead each half four or five turns into a ball. Place one of the dough balls back in the oiled bowl, and cover with plastic wrap. Lightly flour a clean surface, place the dough ball on top, pat into a flattened circle, cover lightly with plastic wrap, and let rest 5 minutes. Begin to flatten and push the dough evenly out from the center until it measures about 7 to 8 inches in diameter. 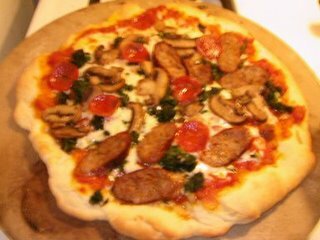 Leave a 1/2 inch border of unflatted dough around the edges of the circle. Sprinkle cornmeal all over the surface of a pizza peel, and set aside. Lift the dough off the surface, and center it on top of your fists. Rotate and stretch the dough, moving your fists until they are 6 to 8 inches apart and the dough is several inches larger. Then place your fists under the inside of the outer edge, and continue to stretch the dough until it reaches about 12 inches in diameter. The dough will drape down over your forearms. Start over if the dough tears or gets to thin. Do this carefully, preserving the raised edge. Place the pizza dough into a circle on top of the cornmeal-dusted peel. Distribute pizza sauce on the dough, leaving the 1/2 inch of raised dough bare. Sprinkle with cheese and toppings. Slightly tilt the peel, and place the front tip of peel on the back side of the stone. Slide the pizza off the peel, centering it on the stone as best you can. Bake 10 to 12 minutes, or until the crust is golden and the cheese is bubbling. Repeat with remaining dough. One of the best pizzas I've ever had. Crispy crust, yummy sauce, fresh mozzarella and our favorite toppings. I especially liked the mushrooms. We sauted them in a little olive oil before placing them on the pizza. I think that is a little tastier than just plopping raw ones on there. We also grilled some Italian sausage and drained some frozen spinach. Much tastier and much less greasy than delivery pizza. It takes a bit of time and effort but you will be well rewarded. Another pizza option: pesto pizza with sundried tomatoes and artichoke hearts. I recommend that you use a peel when making the pizza. It is the easiest way to get the pizza on and off the pizza stone. Nothing else works quite as well. Wash and drain the dal. Pour the dal and 3 cups of water into a medium sized pot with a lid. Cover and bring to a boil. Lower the heat and parcaially remove the cover. Continue to cook for about 60 minutes. 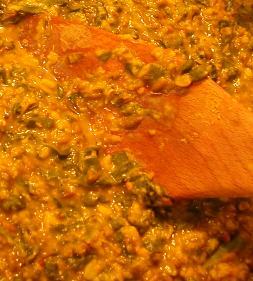 Then add the spinach and stirring occasionally, continue to cook over low heat an additional 30 minutes. Set aside. Meanwhile, soak the tamarind pulp in 1 cup of hot water. When it is cool enough to touch, squeeze out the taramind over the cup and discard. 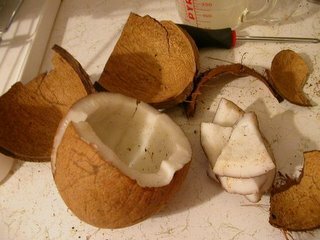 Strain the remaining liquid into a cup and discard the seeds and pulp left behind. After the dal has cooked 90 minutes, heat 2 teaspoons oil in a large saucepan. 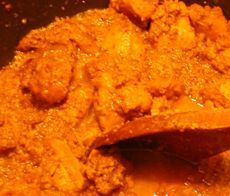 Add the mustard seeds, red chile, asafoetida powder and curry leaves. Cook until the mustard seeds start to pop, 2-3 minutes. Add the tamamind juice, green chiles, tumeric and salt. Simmer until the mixture is no longer bitter smelling, about 3-5 minutes. Add the warm dal and continue to simmer 5 minutes, stirring to combine. 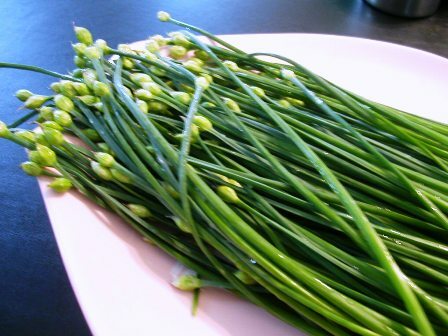 Garnish with coriander leaves and serve with rice. 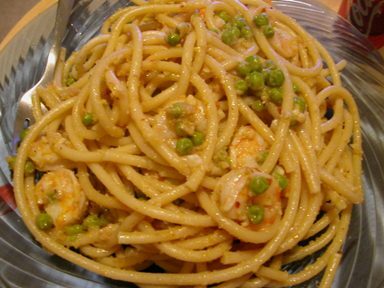 Easy to make if you can find all of the ingredients. We are lucky enough to live near an Indian grocery and were able to get all of the ingredients in just one shop. The spinach adds some color and turns it into more of a vegetable dish than it normally is prepared. In a large pot, combine the oregano, paprika, chile powder, cumin, bouillon, sugar, hot sauce, cocoa, red pepper flakes, bourbon, coriander, tomatoes. Pour the reserved liquid from the kidney beans into a measuring cup. Add water to equal two cups. Add to the pot, bring to a boil and remove from heat. 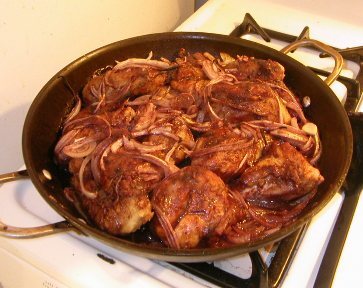 Meanwhile, in a large pan, saute the cubed pork with the onions and garlic in the oil. You may need to do this in batches, depending on the size of your pan. Add to pot. Bring back to boil. 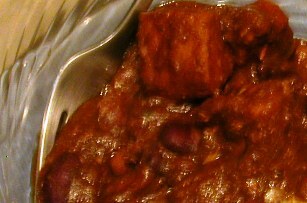 Then reduce heat and simmer parcially cover for 1 1/2 hours or until pork is tender. Uncover, stir in the beans and the oats. Continue to cook uncovered, stirring occasionally, an additional 15 minutes. Chili will be dark and thick. My husband bought me Jan and Michael Stern's Chili Nation cookbook (more for him than me, I suspect) and was inspired to create this really delicious and unusual chili.